Come out to The Blackheart for the last Side One Track One Presents show of the year. 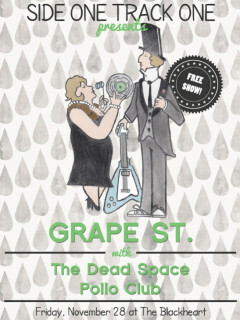 Local bands Grape St., The Dead Space and Polio Club round out the bill for this free show— you just need to be 21 and up. RSVP through the Facebook event page here.